Israel’s Operation Protective Edge (OPE) was well-planned premeditated aggression. It had nothing to do with Hamas rockets. It wasn’t about crushing Palestine’s legitimate government. Israel needs enemies. When none exist, they’re invented. They’re blamed for Israel’s crimes. OPE was about preventing Palestinian self-determination. It was to maintain occupation harshness. It was to keep stealing Palestinian land. It was to expand settlements exponentially. It was to control all valued parts of Judea and Samaria. It was to give Israel sole prerogative to commit high crimes against peace with impunity. It was to show Palestinians they’re defenseless against overpowering Israeli might. It was to wage aggressive wars any time against invented enemies for whatever reasons Israel invents. It was to enlist popular homeland support for what demands condemnation. He threatened an even tougher response should there be so much as a “sprinkle” of rocket fire from Gaza. A late August Shiluv Millward Brown poll on whether Israelis support him showed he plunged from a record 82% high in July to 38% now. Hamas political head Khaled Meshal said his organization has many rockets left. Tunnels remain. “If necessary, if the negotiations fail, we will return to resistance until our goals are achieved,” he said. Days before the ceasefire, longtime Israeli collaborator Mahmoud Abbas met secretly with Netanyahu in Amman, Jordan. It was their first face-to-face meeting since September 2010. No confirmation from either side followed. Netanyahu’s office declined to comment. Senior PA official Nabil Shaath said Washington pressured Israel into halting hostilities even though terms announced omitted demanding Hamas disarm. Days earlier, Netanyahu said Israel was pursuing a new diplomatic “horizon.” He declined to elaborate. Last Sunday, Abbas said he would reveal a “surprise” diplomatic initiative Washington wouldn’t like. It won’t matter. According to Shaath, the PA wants a Security Council resolution ending Israel’s occupation. It wants a timetable to accomplish it. Given a certain US veto if this type resolution is presented, Palestinian officials will petition the International Criminal Court (ICC) to prosecute Netanyahu and Defense Minister Moshe Ya’alon for war crimes. The ICC is a longtime Western imperial tool. It targets victims. Perpetrators like America and Israel operate freely. They do so with impunity. Don’t expect this time to be different. Throughout over seven weeks of conflict, Washington supported Israel’s killing machine. Its posture belied its rhetorical highminded concern for human rights, democratic values and rule of law principles. It showed Israel can commit high crimes against peace with impunity. Thousands of mostly civilian Palestinian casualties didn’t matter. They attest to Israel’s barbarity. They’re considered legitimate targets. International law affirms otherwise. Large parts of Gaza lie in ruins. Billions of reconstruction dollars are needed. Where will funding come from? How many years are required to complete an overwhelming job? How will affected Gazans cope in the meantime? Will concern for them fade when headlines disappear? Will reconstruction matter after virtually certain future Israel aggression destroys what’s rebuilt? Without unconditionally lifting Gaza’s siege, ending occupation, assuring Palestinian self-determination within June 1967 borders, and holding Israel fully accountable for genocidal mass murder and destruction, will anything else really matter? After long denied justice, Palestinians remain isolated on their own. Western leaders able to help do nothing. They support Israeli genocide. Palestinian suffering doesn’t matter. Premeditated Israeli aggression is considered self-defense. Big Lies substitute for hard truths. Fundamental rights aren’t important. Wars are glorified in the name of peace. Israel gets away with genocidal crimes of war and against humanity because nations able to act do nothing. Expect nothing different this time. Business as usual continues. 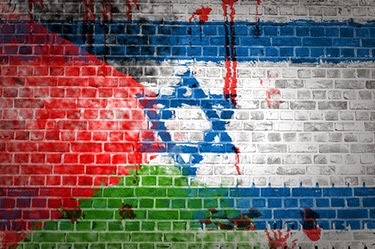 Expect long denied Palestinian injustice to persist. Expect future Israeli aggression. Expect Palestinians blamed for its crimes.